VietNamNet Bridge – Vietnam is strengthening its co-operation with international organisations to protect endangered species, an official has said. Speaking on Thursday at the signing ceremony for memorandum of understanding between the Vietnam Environment Administration (VEA) and Four Paws, an internal animal welfare organisation, Nguyen Van Tai, head of VEA, said to conserve and promote the value of biodiversity in Vietnam, all of society must participate, and international was a must. He also said the country wanted to foster ties with domestic and international partners, agencies and organisations in the fight against illegal wildlife trade, consumption and protection. Under the deal, the two parties will share experience and technical support to conserve wildlife in Vietnam. Vietnam has a great diversity of ecosystems, species and genetic resources, especially rare and endemic species. However, these precious resources are threatened by illegal exploitation, hunting, trading and consumption of wildlife. It is an issue of global concern and the main reason for the rapid decline of wildlife population, particularly endangered sepcies in Vietnam. Ioana Dungler, director of wild animals of Four Paws, said the organisation wanted to support Vietnam in developing new policies to strengthen the management and conservation of wildlife. 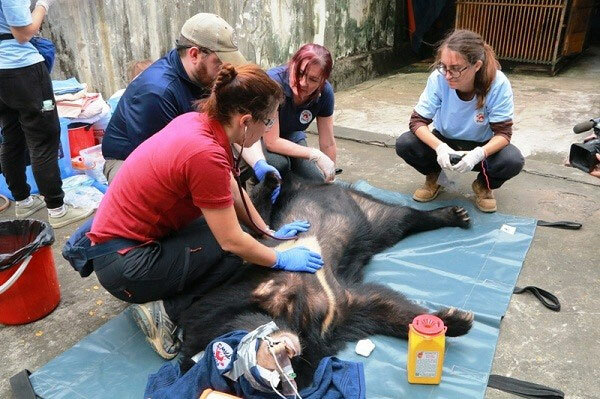 Established in Vietnam in 2017, Four Paws has sponsored the building of a bear conservation centre in Ninh Binh Province. To date, the centre has rescued eight bears.